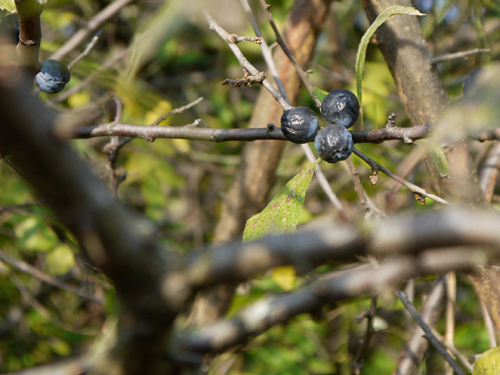 I adore sloe gin and used to make it in the UK….can´t get them here (at least, I have never seen them). I´m sure you´ll love it when it´s ready…and it look so beautiful too! You did? What recipe did you use? I’m really curious how it’s going to turn out, but I’m glad you like the pictures – it’s starting to take on an amazing deep pink colour already. Cheers – at least when it’s ready! Thanks! I love the colour of your gin. I think mine is getting there, but I just have to be patient. I actually got get lucky, and have lots and lots of sloes, so I’ve got quite a few that are still frozen. 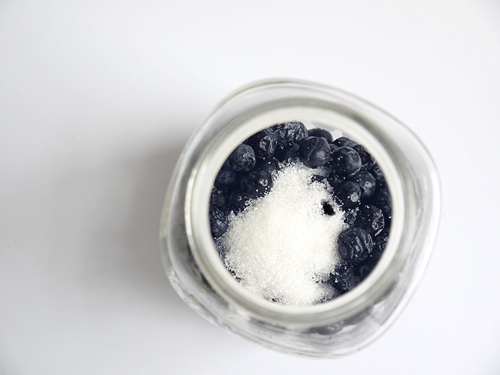 I think I’ve used less sugar to fruit in my current version, so I may give yours a try too. I’ve also got a gang of friends who picked the sloes that are expecting to come round and try it when ready…so no pressure there! Living in Walthamstow, even though Epping Forest is not far, there are not many sloe bushes to hand and I have to make the most of opportunities when we visit relatives in the country. Freezing sloes has proved good idea as they keep well that way and I have found they break down much better. I used some last year that had been in freeze for a year or so and I still have some left! Sloe gin is definitely good for sharing with friends. It has got me wondering whether a dash of sloe gin would be good added to sparkling wine as a sort of sloe Kir. Think I might give it a go – could be great for pre-Christmas dinner drinks! It’s the same down around Stoke Newtington – but I was luck enough to find a HUGH patch of them in Clissold Park, so it’s a good tip for next year. And I love the idea of the sloe kir, that will be on the list to try this Christmas. Gin sounds like the way to go, I have a few bottles of damson gin done the same way brewing ready for Christmas. Oooh, I’ve read about the damson version. Sounds delicious. And you’ll be able to use all those boozy plums for something tasty. I’m sure it’ll be lovely too. 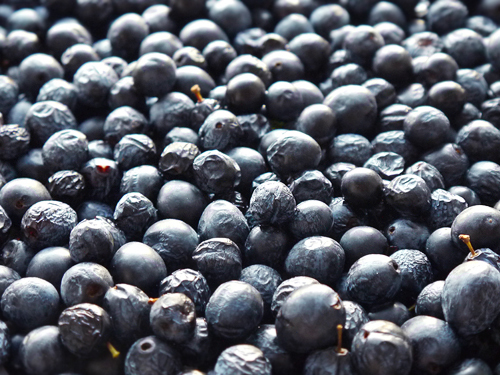 A friend who lived in Somerset regularly made sloe gin and that was the first time I’d tasted it – gorgeous. Last time I was in Edinburgh there was a shop in VIctoria Street, made all sorts of wonderful things and bottled them for you. Wow, sloe gin! What memories you bring back with this post. Thank you for giving me a chance to think back on wonderful family days long gone. Thanks, glad you like it, and nice to hear that it brought back some good memories. I live in Tasmania near one of the original settlements, a historic village called Evandale where I once bought a Sloe Gin kit created by some people who had newly moved to the area and discovered some very old sloe bushes on their property. 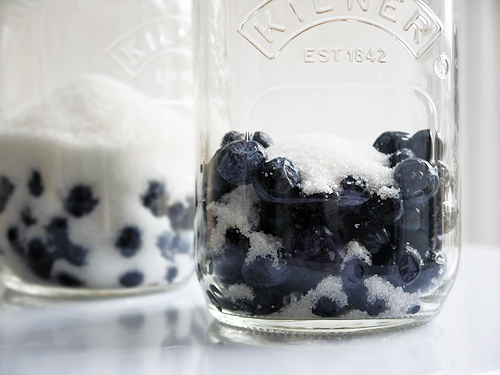 It was basically just the sloe berries and some sugar along with similar instructions to yours. It turned out well, but they are amazing difficult to get in Australia, so I have been substituting any other berrie I can get my hands on. So far I’ve tried raspberries, strawberries, blueberries and even Chinese Gooseberries (which made a very sweet but very cloudy conconction). 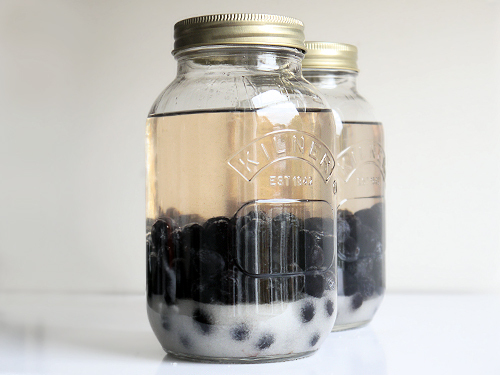 The recipe I have is 200 – 250 g of berries and an equal amount of sugar to 750 ml of gin. My recipe also said to prick the berries, but I’ve found that if you freezed the ripe berries (or buy them already frozen) the skin is split and you don’t have to do all the tedious pricking! I have also substituted vodka for gin, but I do prefer the gin. I drink it like a liquour and find the raspberry is the most delicious. You know, I had no idea that you even have sloe bushes in that part of the world. 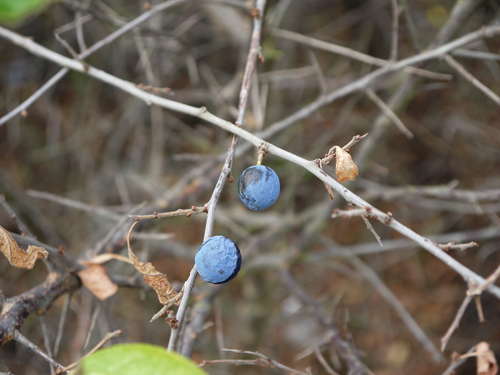 Are they actual sloes, or a similar sort of plum? This year, I’ve taken your approach and made a variety of different drinks, basically taking fruit, adding some sugar and covering in alcohol (usually vodka or gin). I also made damson gin, which looks, smells and tastes spectacular, a really vivid purple. I also tried a spiced pear liqueur which is delicious, and quince vodka. The last one is very simple, just finely slice a quince, add sugar and vodka, and wait three months. The result looks like honey, and tastes a little like it too. All of them are great, either on their own or a dash in some Prosecco to start the evening. Happy New Year! Try a dash of that raspberry liqueur in some champers, I’m sure it will be delicious!